It’s very well done. I knew it was an emotional piece, but somehow hearing Terry and Kimi read it brought that out even more. I like the simplicity of the transitions between narrators. I’ve already gotten compliments because of your hard work bringing it to life. Thank you! Michelle, it was an honor and a pleasure. Thank YOU. I loved the story and really enjoyed voicing the part of the female. Thank you for asking me to be part of this great story! Great work Michelle and Terry! Great read, and a good story…Congratulations on winning. Great story and great work on the audio production as well……. It was a great story and a lot of fun to record and produce. Kimi made me sound good in comparison, I’m sure. Thanks everyone. 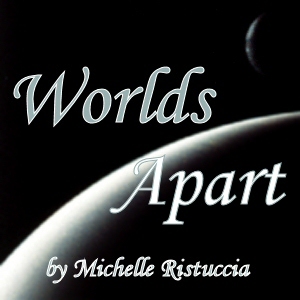 Congrats, Michelle, on writing a wonderful story that left me wanting more. And kudos to Terry and Kimi for doing such a wonderful job on the production and voice work. And Terry, you’re right, Kimi has an amazing voice. Both characters were completely believable.